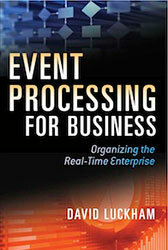 Many of the visitors to this website want to know more about event processing in general, and how it applies in real time business operations. They want to see successful application stories, best practices, discussions of costs and benefits, product and vendor information, and related “how to” kinds of information. This section is devoted to success stories from the field. Contributions from both vendors and users of event processing and operational intelligence applications are welcome. Contributions should contain the kinds of information that is shown in the template on the right here. Your article will be posted on the complexevents.com home page, promoted with a banner in out carousel, and remain open to feedback and comments from your fellow readers.